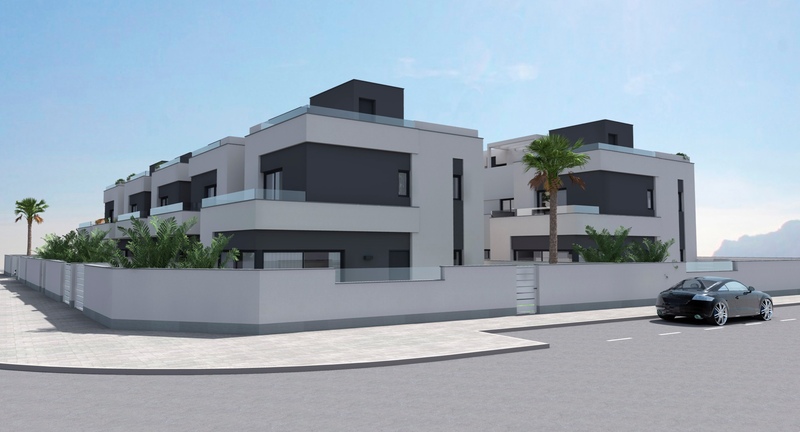 These new villas are now being built in Villamartin on Orihuela Costa. 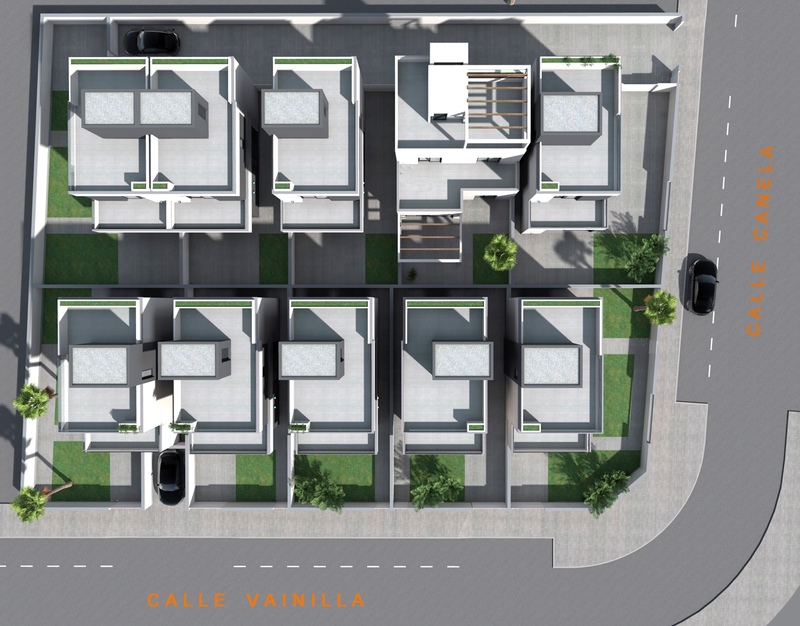 The villas are set over two floors and have a living size of 101 sqm. They consist of three double bedrooms and either two or three bathrooms. Furthermore they consist of a modern kitchen and a living room with space for both a dining are and a lounge area. 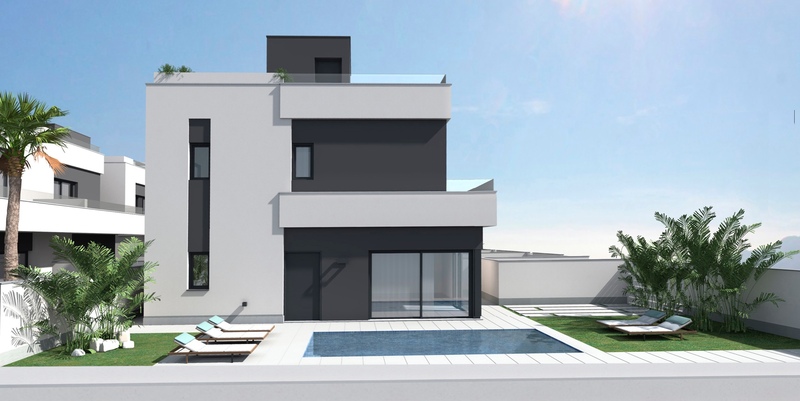 Outside areaThe villas have private plots of between 116 sqm and 200 sqm. 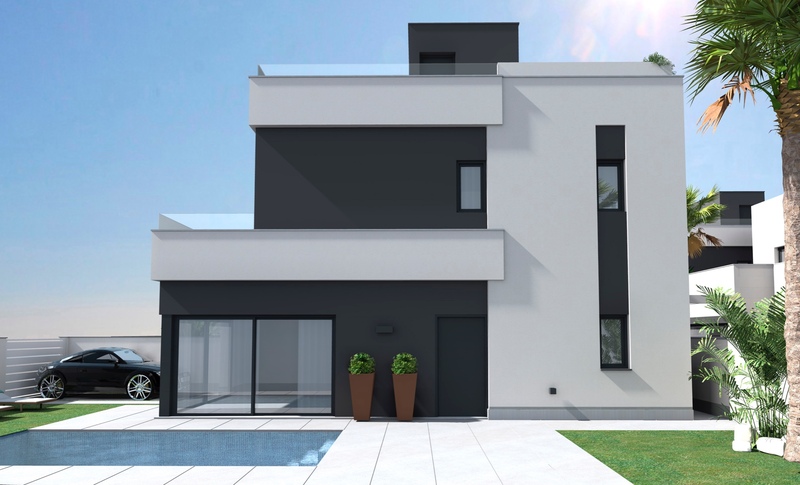 Some of the villas have private pool, while some have it as an option for a price addition of 14.500€. 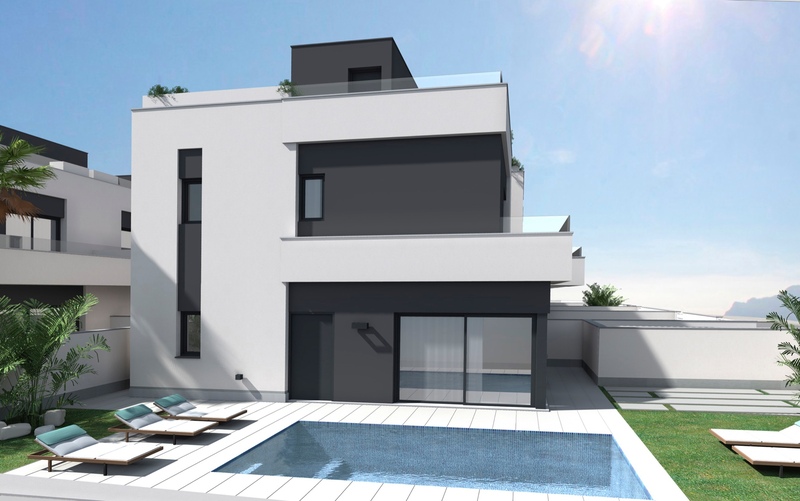 All of the villas also have a roof terrace of 32 sqm. 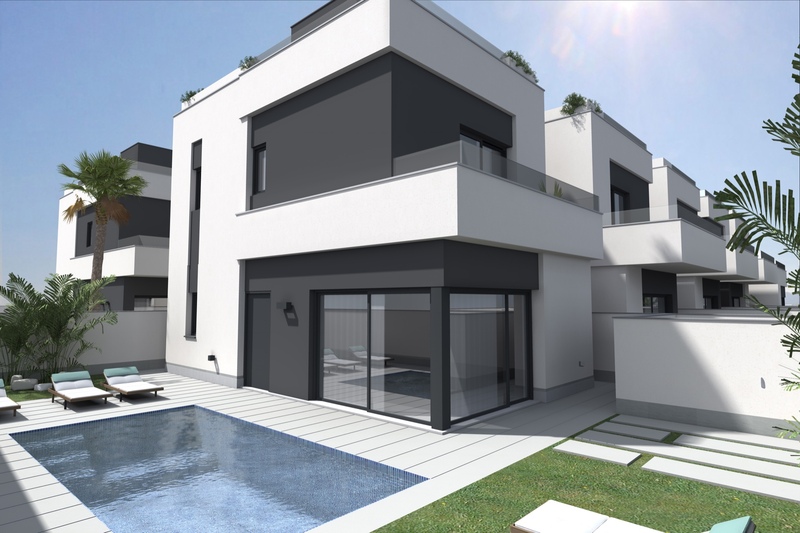 AreaOrihuela Costa is a popular place on the Costa Blanca coast, and includes smaller areas such as Punta Prima, Playa Flamenca, Las Filipinas, Villamartín, La Zenia, Cabo Roig and Campoamor. 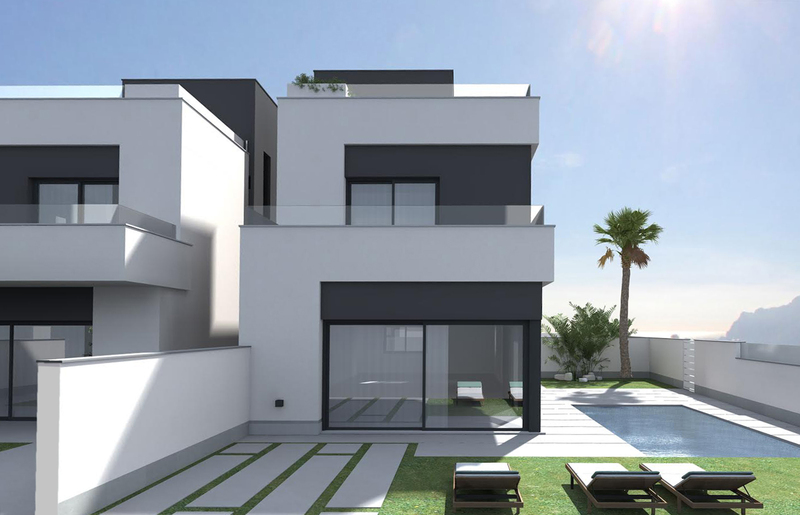 In these areas you will find all amenities you may need, such as parks and beaches, shopping area, shopping mall, shops, bars, restaurants, cafés and much more.BeachesThe magnificent beaches of the Costa Blanca coast lie like pearls on a string, and within a short distance you can access a number of beaches. Among others, you will find Playa Diez Picos, Playa de la Glea and Playa Aguamarina in Campoamor, Playa de Cabor Roig in Cabo Roig, Cala Capitan, Playa La Zenia and Cala Cerrada in La zenia, and Playa Flamenca Beach in Playa Flamenca.ClimateOrihuela Costa is an ideal place for both vacation and permanent living. The summers are always sunny and warm while winters are mild, and the area has an average temperature of 20 degrees. 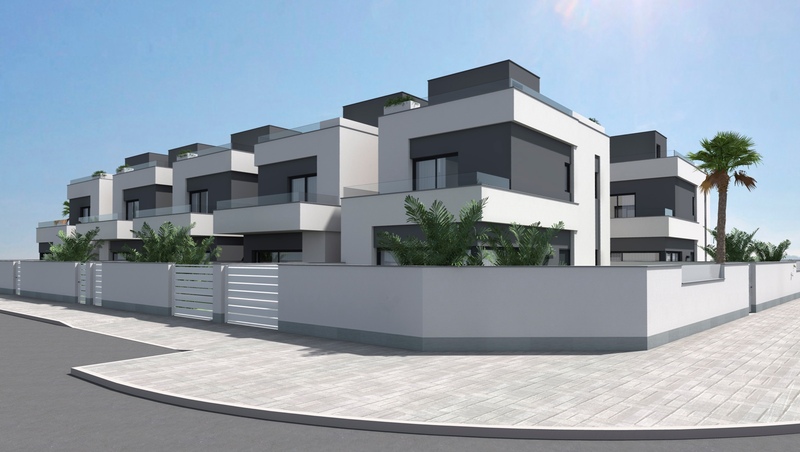 Orihuela Costa is located close to Torrevieja where you will find two large salt lakes which have a cleansing effect on the air and help to give the area a particularly favorable health environment. The climate has especially a positive effect on people with i.a. asthma, allergies, rheumatism and skin diseases. According to medical science, the area belong to one of the healthiest places in the world thanks to the salt lakes.ShoppingThe large shopping center Zenia Boulevard, where you will find a huge variety of shops such as Zara, Massimo Dutti, H&amp;M, Stradivarius, Oysho, Mango, Primark, Pull &amp; Bear, Decathlon, Guess, Kiko, Druni, Rituals, Leroy Merlin and many more, is located in La Zenia. 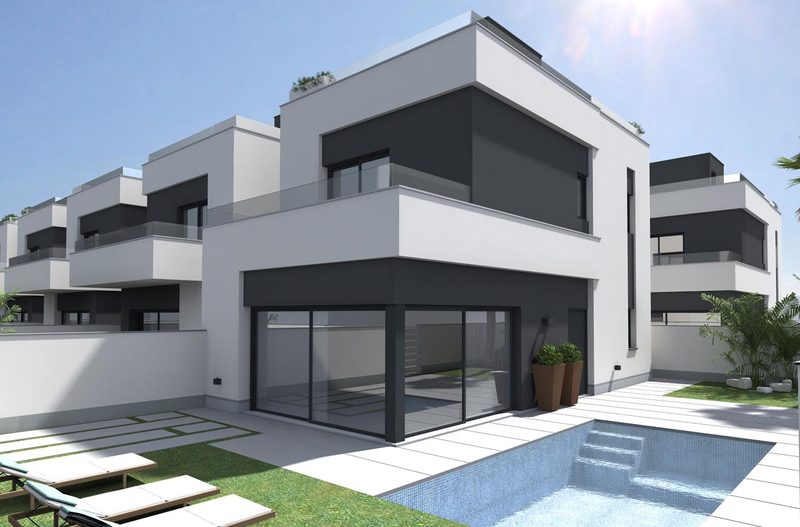 In the outskirts of Torrevieja you will find Carrefour and Habaneras, a shopping mall, and a shopping street in the city center.GolfThere are a number of golf courses nearby and in Orihuela Costa alone you will find, Las Colinas Golf &amp; Country Club, Golf Las Ramblas, Campo de Golf Villamartín and Real Club de Golf Campoamor. Within a short distance you will also find Greenlands Golf, La Marquesa Golf, La Finca Golf, Lo Romero Golf and Vistabella Golf.Yachting and water sportsIn the surrounding area you will find several yacht clubs and marinas. 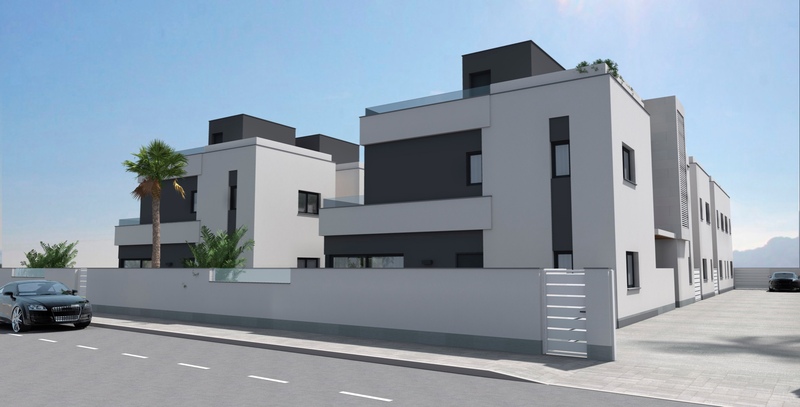 In Torrevieja you will find three, while there is one in Guardamar del Segura and two in Santa Pola. Here you will find sailing schools, windsurfing and diving schools, to mention some. Several places in the area you can rent boards for SUP (stand up paddle-boarding), and a number of beaches offer water activities like fly-boarding, banana boats, jet skis and more. You will also find a lot of watersport in the beaches during the summertime, and Playa La Zenia is especially known for its watersports.Hospitals and healthcareIn Torrevieja there is a modern public hospital with an excellent reputation. Hospital Quiron is a private hospital, and this is also located in Torrevieja. Laguna Mar Menor, which is located about a 30 minute drive from Orihuela Costa, is one of Europe's largest salt water lagoons with a maximum depth of approximately 7 meters. The high water salinity provides a microclimate that is very healthy, particularly for people with heart problems, arthritis or lung diseases. The saline mud bath is also famous for its relief of skin diseases such as psoriasis, and is recommended by several specialists.Getting thereOrihuela Costa is located approximately 55 kilometers from the airport in Alicante and 25 kilometers from the airport in Murcia / San Javier. From Orihuela Costa one can easily reach major cities in the area through the A-7 motorway or the coastal highway N-332, such as Elche, Alicante, Valencia, Murcia and Cartagena to name a few.